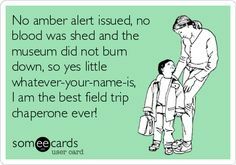 It’s the Boy’s turn for class field trip today! I get to spend all day with 5 boys at the Museum of History and Industry today! Chaperoning 5 third grade boys is a bit different than the previous field trip I took with the Girl’s class! It is a beautiful day! We have already been in the ferry now we are in the bus driving to the museum. My guess is it’s about 40 minute drive or so. (OMG I already have to pee! It might be a long day!) We are in Seattle and it is so fun hearing the kids be excited to see Safeco and Century Link Fields and The Space Needle and the other Seattle Landmarks like the Space Needle! This is going to be a fun day! I love seeing things through kids eyes! Especially these five Third grade boys! Take time to enjoy things the way kids do! Explore and be curious and don’t care what people think of you when you are doing it!